Charismatic, volatile, mysterious - Danny Spain was a Hollywood enigma. A rebellious child whose aggressive intensity later made him a striking screen presence, he ruthlessly pursued success and soon captured an Academy Award, but could never win that most elusive of trophies - love. Danny's best friend and sometime lover, Benedict, devotes himself to finding out the truth about Danny's life - and death, following his story from his humble birth in the Midwest in 1959 to his violent murder at the hands of a young male hustler forty years later. 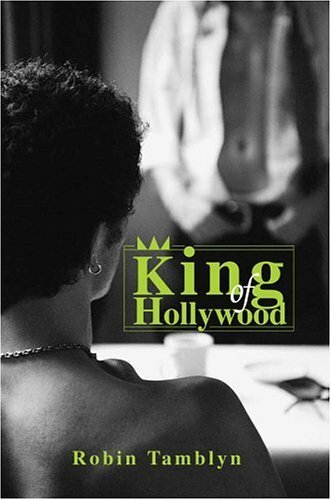 "Robin Tamblyn's debut novel King of Hollywood gives the reader an inside look at the life (and death) of a closeted Hollywood movie idol. Written compellingly by a fresh new voice in fiction, the novel chronicles the life of actor Danny Spain, from his humble beginnings to his tragic and untimely demise. The plot bubbles along merrily and draws the reader into the hidden world of a star who has much to hide. An impressive debut!"